I’ve officially reached the point in college where I can no longer be whatever I want to be when I grow up. I’ve committed, and it would be a waste of time and money to change it up now. I like my major. I really do. But I’m thinking about all the things I could have been that I probably won’t be now. Every day, a little voice in my head says something stupid, and every morning, I have to talk my head out of being crazy. “But what if I wanted to be a doctor?” No, Stephanie. You don’t want to be a doctor. You’re squeamish, remember? “But what if I wanted to be a spelunker?” No, Stephanie. You don’t want to be a spelunker. You’re claustrophobic and you only like it because the name sounds like the noise a rock makes when it hits water. “But what if I wanted to train wolves?” Dammit, Stephanie. That doesn’t even make sense. Lately though, my brain has been tricking me by tempting me with some of the career goals I had as a kid. So here, in chronological order, are the jobs I’ve considered in moments of panic. Age 4 – 6: A princess. Not in the way most little girls want to be princesses. As a kid, I had short hair that my mother persisted in labeling “cute” and waitresses persisted in labeling “mannish”. My best friend took advantage of this, and I was always cast as the prince when we were playing. I even had to be the prince during “Pretty Pretty Princess”, but I was afraid to point out how little sense that made because Kristin has been known to bite people in the back (and by people, I mean me). I fought long and hard to prove I had feminine wiles* to bring to the table, but as Kristin was about to waver in her conviction that I always had to be the Westley to her Buttercup, my mom scared me away from the idea forever. She’d read somewhere that children who pretended to be princesses or mommies didn’t grow up to be as smart as kids who had pretended to be doctors or lawyers. It turns out the game “law school” is a good way to lose friends in preschool, but I’m still convinced I could have been much smarter than I am now if I’d just let that princess thing go. 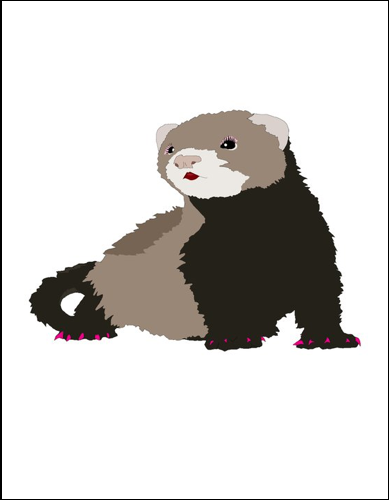 *Doesn’t “feminine wile” sound like a slinky ferret with long eyelashes? That’s what I think of every time. Age 6 – Now: An astronaut. I shouldn’t even have to explain this one. Think about it for more than two seconds and it becomes clear that the benefits really outweigh the drawbacks. No opposable thumbs, but no electricity bills either. A totally lettuce diet, but an adorable turtle face. It’s clearly a fantastic choice. Age 17: A Physician Assistant. Age 18: A Park Ranger. Here’s the thing about me– I don’t like to go outside because if the sun comes out, I burst into flame. (Not really. I just get sunburned and grouchy enough that people wish I’d burst into flame.) Park Rangers are all about outside. When I really analyzed my Park Ranger wishes, I realized that it wasn’t the call of the wild that appealed to me. It was the hat. I’m a sucker for uniforms, and those Park Ranger uniforms are… wow. I want to wear one and say authoritative things about not walking too close to canyon rims, but that’s all I want to do. I don’t want to go without a shower or electricity, and I certainly don’t want my picnic baskets stolen by bears, smarter than average or otherwise. Age 19 – Now: A turtle. Maybe I’ll tie in my major and just be a turtle who’s really good at the Internet. Tell me you wouldn’t read a blog written entirely by a turtle. Plus, forget all the trolls online. I could bite people who are mean to me, and no one would think it was crazy at all because… you know. I’d be a turtle. i say you do a double major and be a turtle princess. that way you can be noble and refined while you eat lettuce and bury your eggs in the sand. This may be the best idea anyone has ever had. Incidentally, it’s also the cutest. Haha. I don’t know what this means, but I thought Spelunking sounded cool for the very same reason. I hate mud, dirt, and the fear of death that comes from trying to squeeze your torso through a 2 inch rock crevice, but to have a business card that said Spelunker/ Expert Cave Dweller almost seemed worth it! That WOULD be a pretty fantastic business card. You could pass it to bats on your way into their caves and hope they were cool with it because your career was so awesome. This is funny and not just the knowing chuckle kind of funny, but laugh out loud in spite of yourself funny. I just knew when I saw you coming down the stairs blowing your mom’s equine speculum like a kazoo that you were a comic genius. Thanks, Matt! I don’t remember an equine speculum kazoo, but it makes sense. I’ve always thought those suckers look like musical instruments. Thanks for reading! Turtle. All the way. Major job security, and your house goes with you. No one will know if you’re working or napping. Actually, I liked it because it didn’t make sense. I don’t know why, but it made me laugh wildly and people started looking at me weird. You crack me up. Therefore, I have nominated you for a blogging Memetastic award. You need to follow some criteria in order to accept, but you’ll be happy you did. When you are writing for Saturday Night Live, remember me. Oh, thanks! I’ll look into the requirements, and I’ll thank you at the end of each SNL episode. Although I don’t want to get your hopes up. It seems more likely that I’ll be blogging until I’m 80, and I’ll namedrop every few posts. So get ready for that excitement! Great stuff as usual. :) I want to be an astronaut myself someday, too. 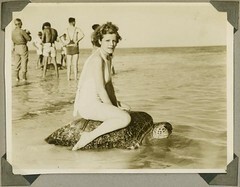 I’m not sure if I’d want to be a turtle, though. I’m not really that into lettuce. However, the thought of living a few centuries is quite appealing…. I really enjoy the things you say. haha This is really true because you want to be so many things when you grow up through out the years. And now you are about to be “grown up” and you have to pick! ah!